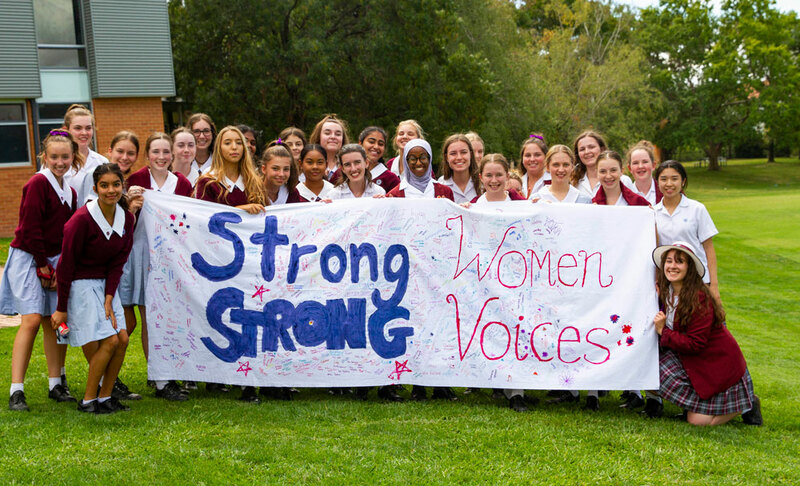 St Clare’s College Student Representative Council (SRC) held their first event on International Women’s Day, Friday March 8, to launch their focus for the year ‘Strong Women, Strong Voices’. Students were greeted in the morning with purple ribbons to show their support. The SRC provided activities during lunchtime which included music, dodgeball and a banner which celebrated student voices and the women who inspire them. 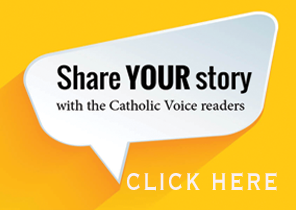 The SRC has several activities planned for the year, to celebrate and promote student voice, starting with a communications project. St Clare’s students also participated in many other events celebrating International Women’s Day. On Thursday three senior students attended the International Women’s Day Careers in Defence High Tea. The morning included inspiring presentations from serving defence members. The students were able to learn about different career options in the Australian Defence Force. 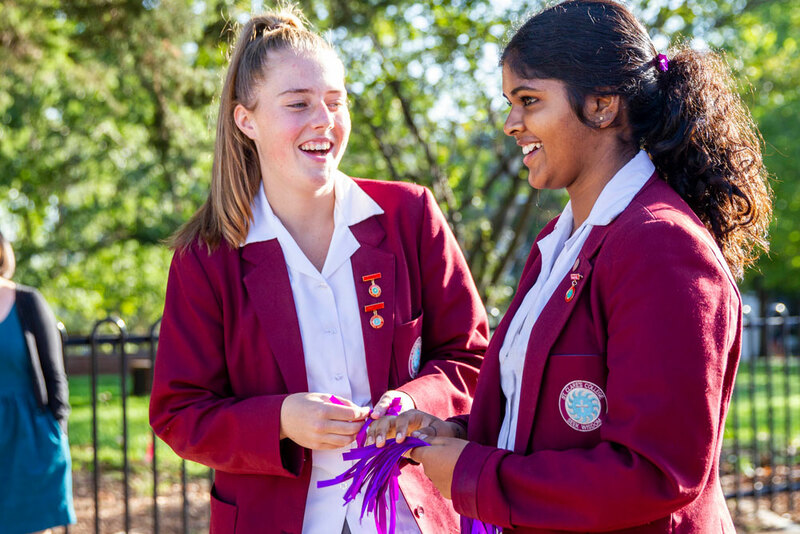 St Clare’s Digital Technologies and Information Technology students were invited to attend the International Women’s Day lunch and panel hosted by the AIIA at the National Press Club on Friday 8 March. Panel members included parents of current and past St Clare’s students Dr Maria Milosavljevic and Randal Brugeaud who both work in the IT industry and promote diversity in the industry.